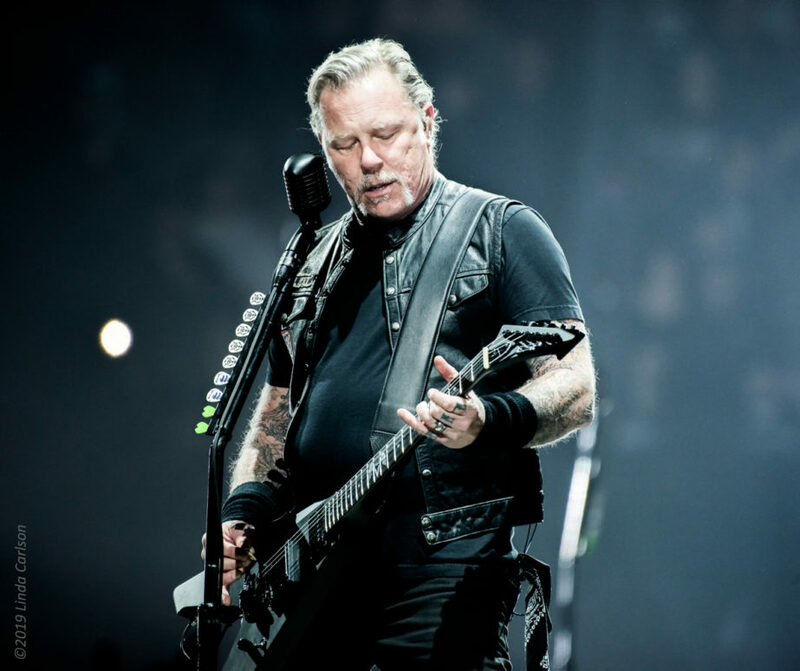 Cincinnati, OH – In 2016, Metallica performed at the AT&T stadium on the eve of the Super Bowl, a concert that was ultimately dubbed, “Too Heavy for Halftime.” There’s a reason for that clever billing…a Metallica concert is unlike any other. 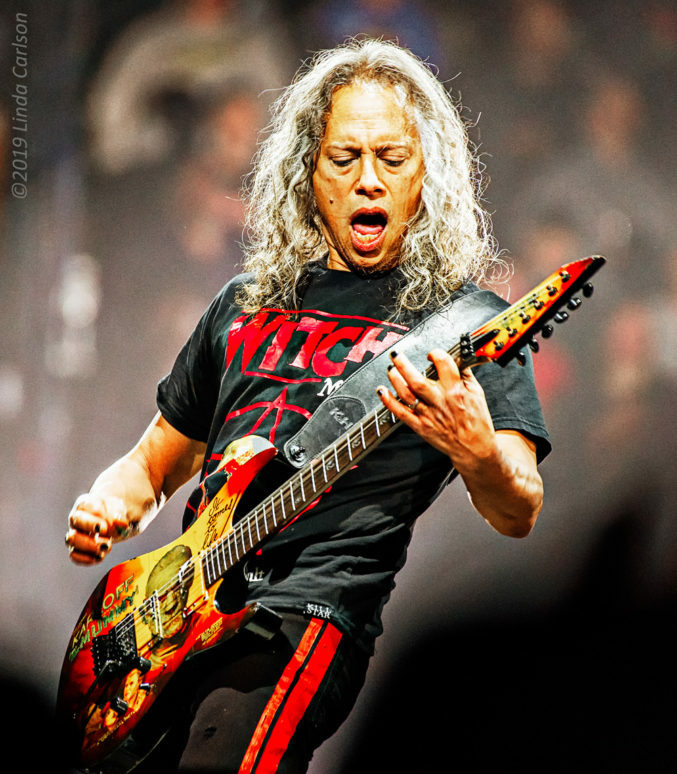 It rocks in ways that excite the senses and brings the devil horns out in the young and old. 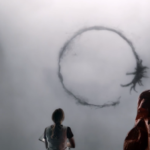 There is no sitting, no texting, no looking at your watch. It is complete engagement. 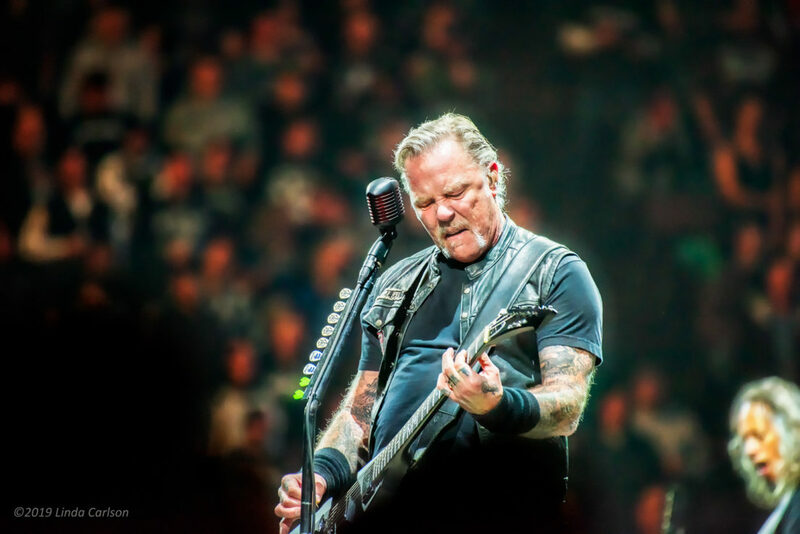 Metallica rocked the US Bank Arena during this January 30, 2019 Cincinnati stop of their WorldWired Tour. 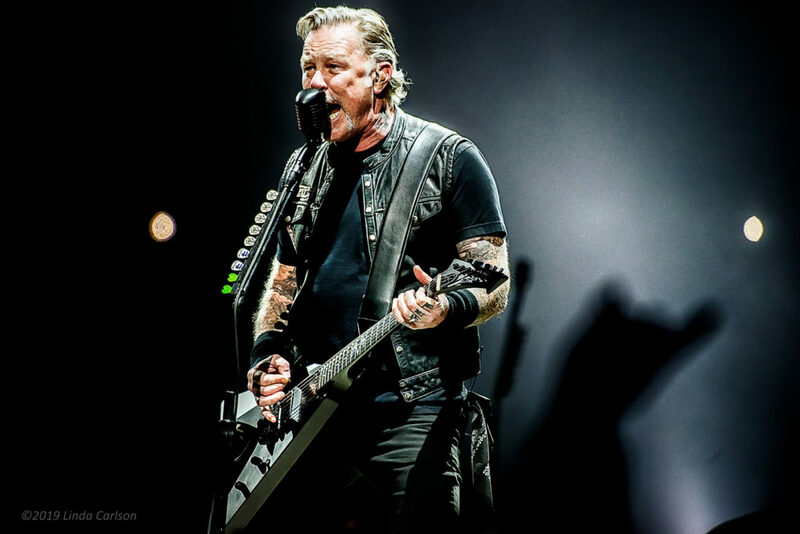 From the spectacular staging and lighting to the octane-energy onslaught of pure metal music, Metallica had fans on their feet from start to finish. Cincinnati hungered for this show; The crowd of 16,587 fans set a new single event attendance record for US Bank Arena. It was insane! There was a strong sense of anticipation in the air prior to the concert. 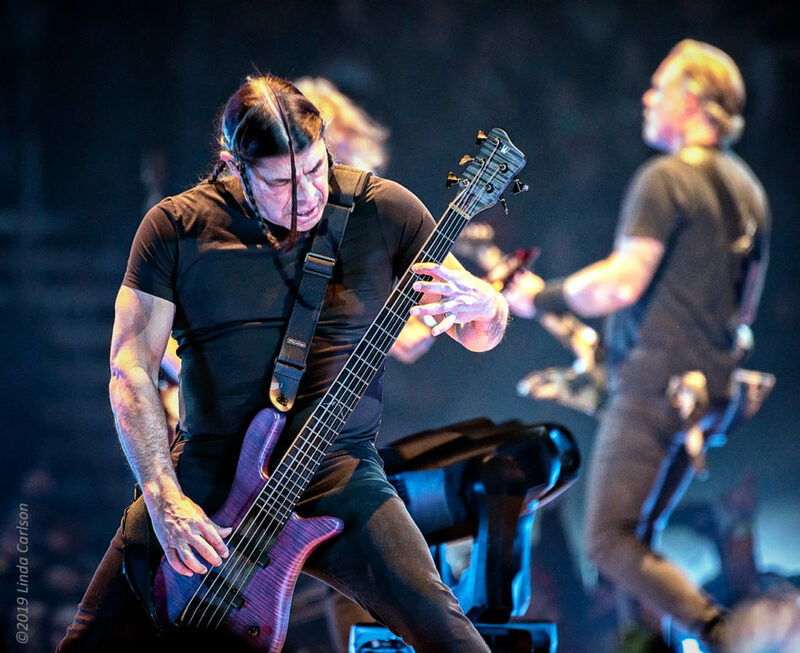 Doors opened a full three hours before Metallica was scheduled to take the stage, with no musical openers. 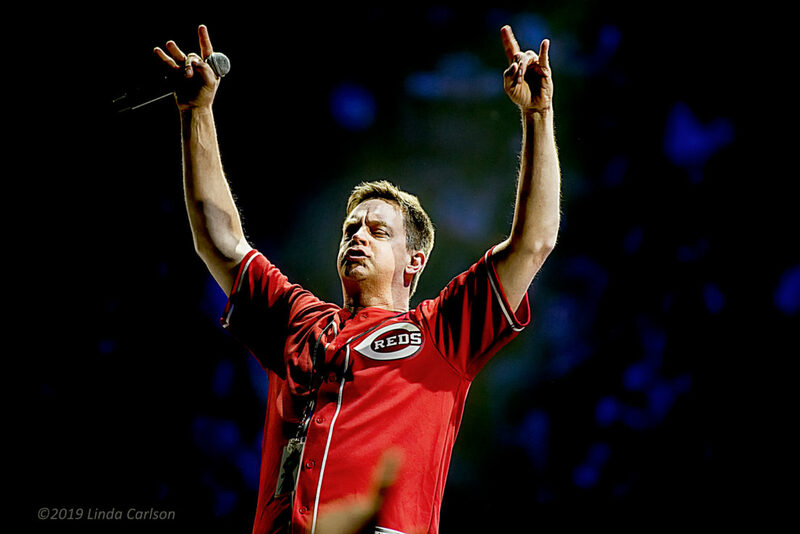 Comedian Jim Breuer warmed the crowd as best he could, but really, the crowd was primed and ready long before the band entered the arena to their classic “The Ecstasy of Gold” opener. From that moment on, the music and experience were the magic of pure professionals. 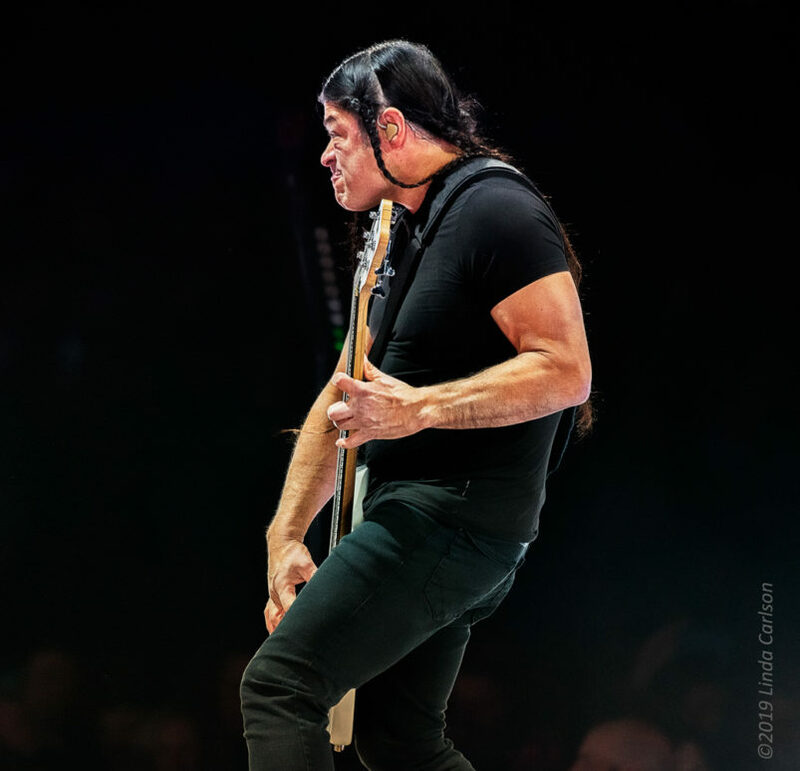 The band and their team know how to create an intimate, up close experience for the fans, even in a large arena setting. The stage itself, an elevated “X” shape with microphones positioned strategically around the perimeter, was situated in the center of the arena floor, allowing a full 360-degree visibility throughout the venue. 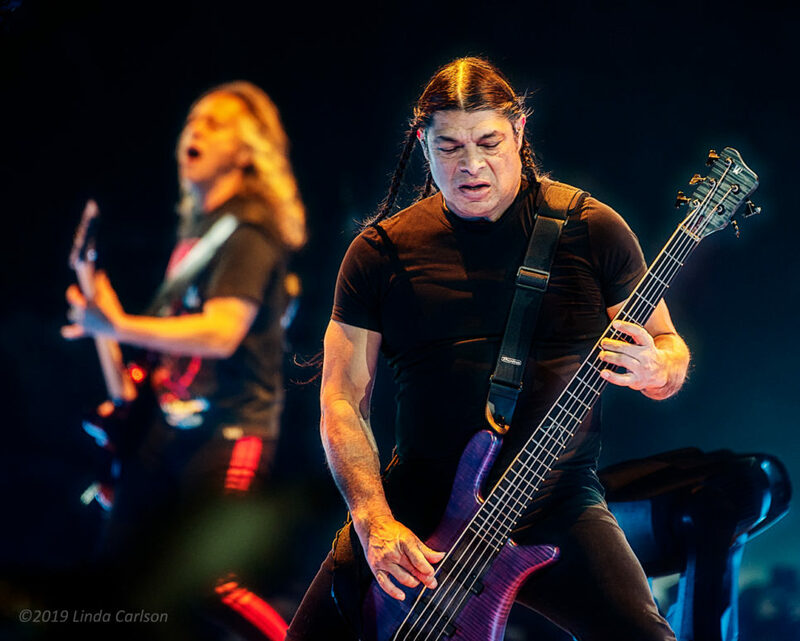 Metallica are masters at working the stage. Each musician performed at chosen position, then glided smoothly to other locations, selecting microphones and giving the fans an ever-changing view of the performers. Only drummer Lars Ulrich remained in place at the center of the stage, but stagehands came out periodically to rotate the drum kit to offer fresh views to the fans. 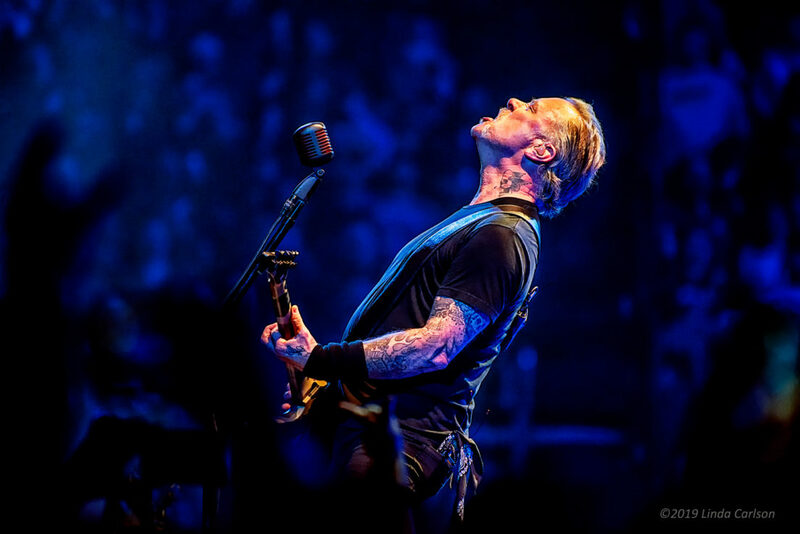 The choreography of a Metallica concert is captivating: Performers criss-crossing the stage, video cubes moving up and down with ever-changing imagery flashing across them, and even tiny light-drones hovering and dancing above the band during “Moth into Flame.” This continuous stream of motion tantalized the visual senses while the music – ah, the music! – pulsed through your very core. Each musician was on-point for the entire show. The energy and gusto were infectious. 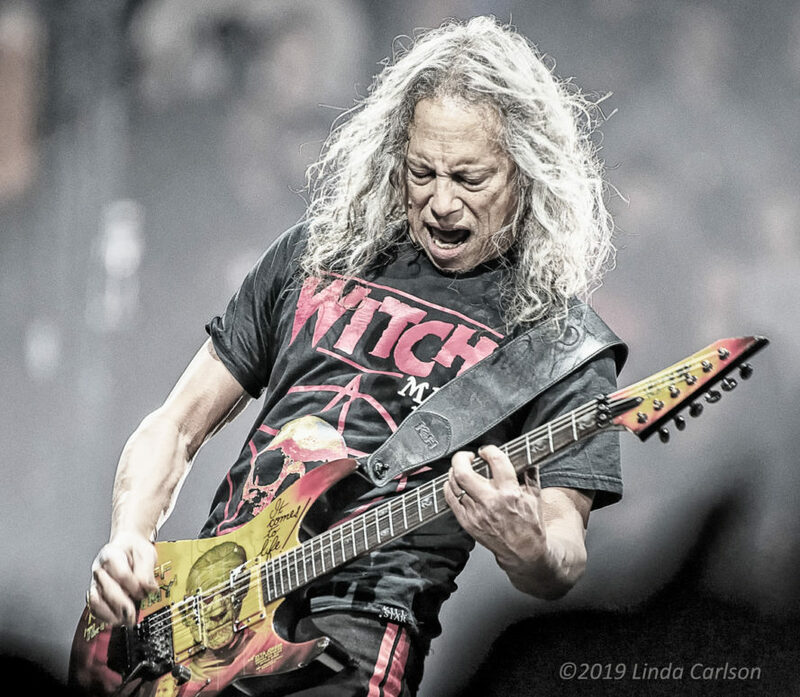 Kirk Hammett was having a blast, moving about the stage, at one moment fiercely intense while shredding a guitar solo, and at others smiling fiendishly. 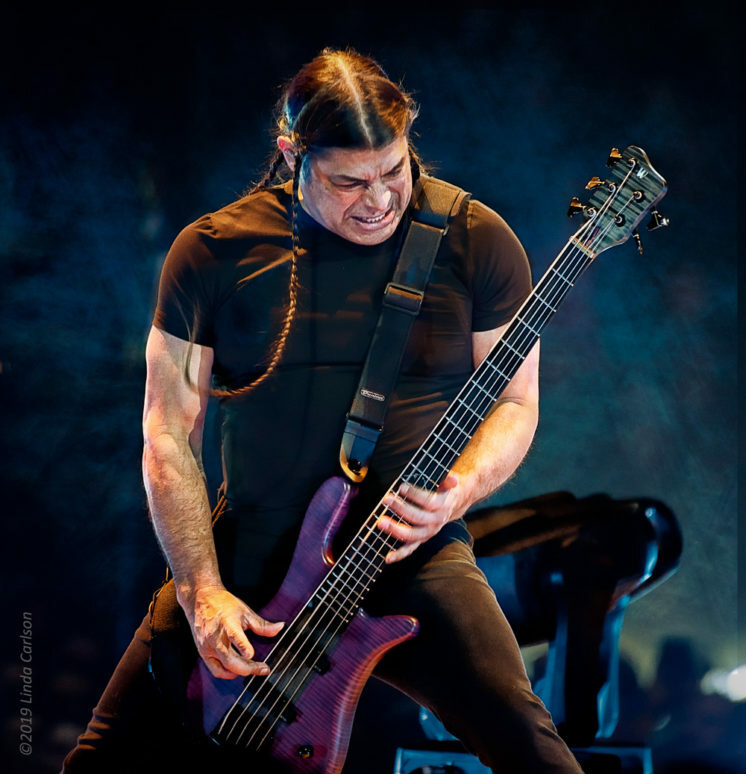 Bassist Rob Trujillo was nothing short of amazing, with the most intense facial expressions reflecting the power of his monster bass performance. 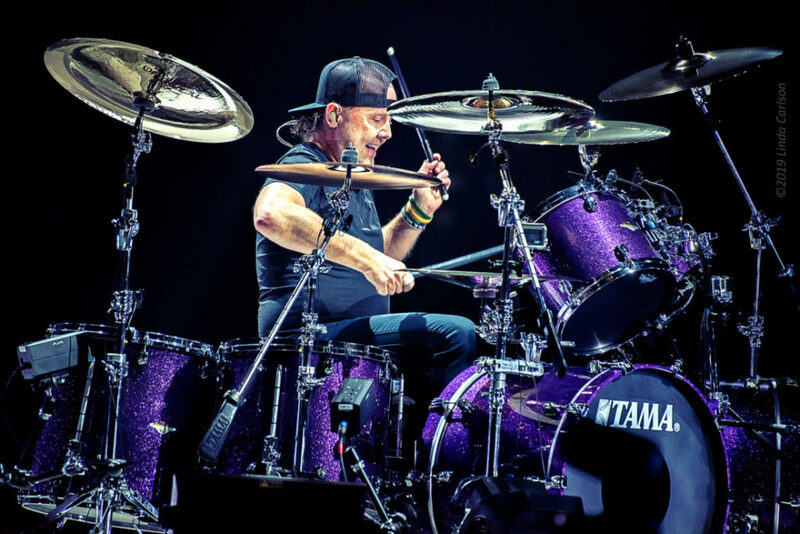 Lars Ulrich pounded the drumkit repeatedly, often coming off the podium to join his bandmates briefly before resuming the onslaught of percussion. 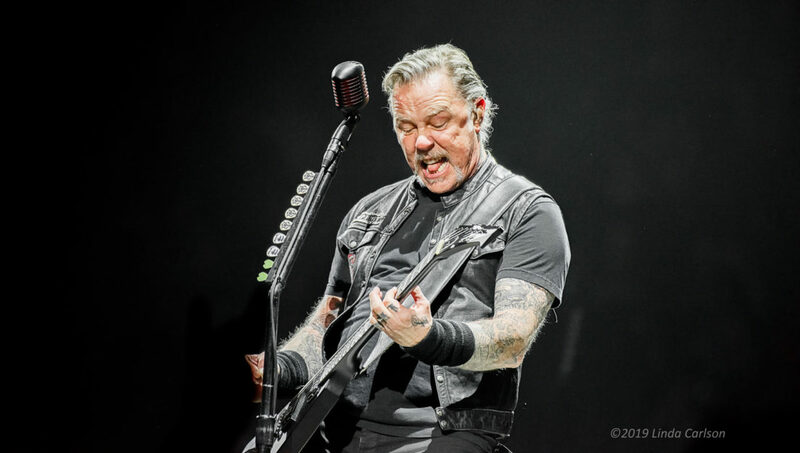 And what a pleasure to watch James Hetfield in his element. 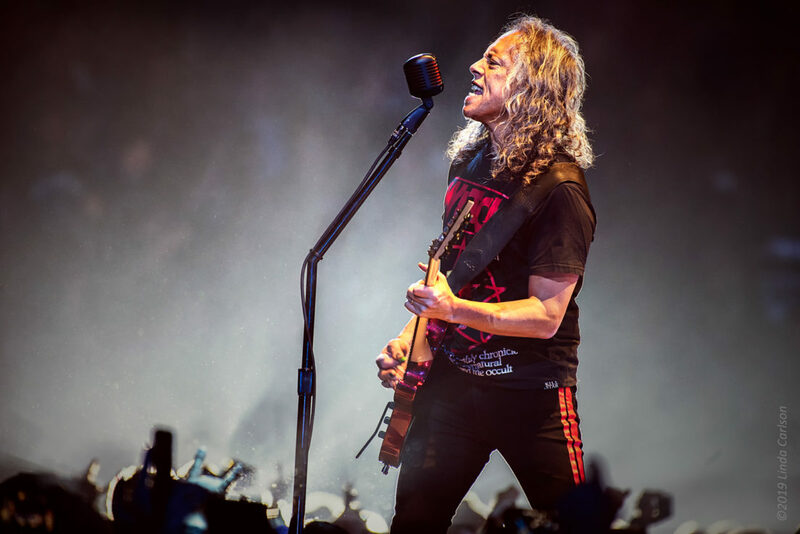 Between stellar guitar-playing and non-stop vocals, he managed to hold some conversation with the crowd, thanking them for their years of continued support. He acknowledged the older fans, as well as the younger ones. 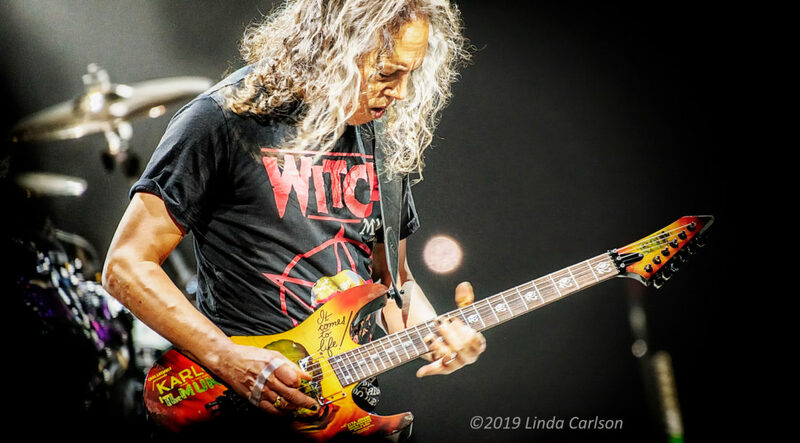 On this night, he chatted with “Leland,” an eleven-year-old Metallica fan enjoying the show near the front of the stage; the start, no doubt, of a Metallica fan for life. 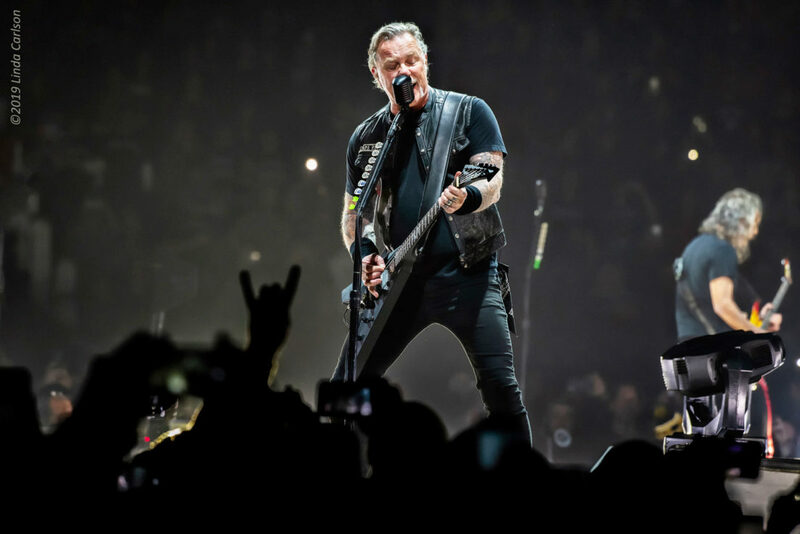 A Metallica concert is a bucket-list show. 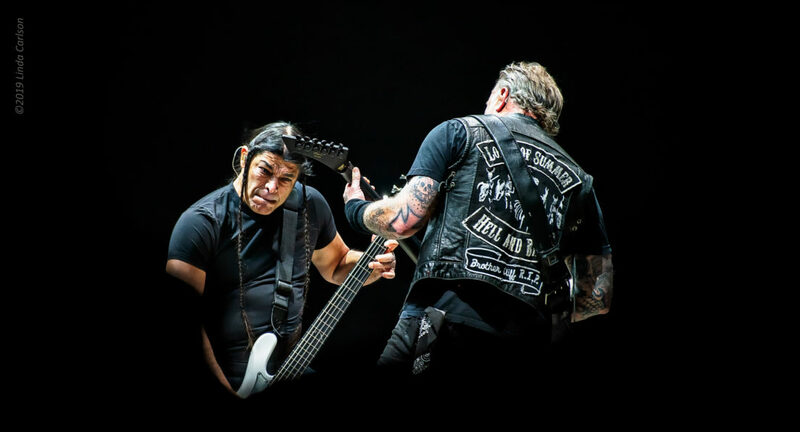 Their tour continues, and if you are lucky enough to score a ticket…go! Their tour continues stateside into March, then moves overseas in May. 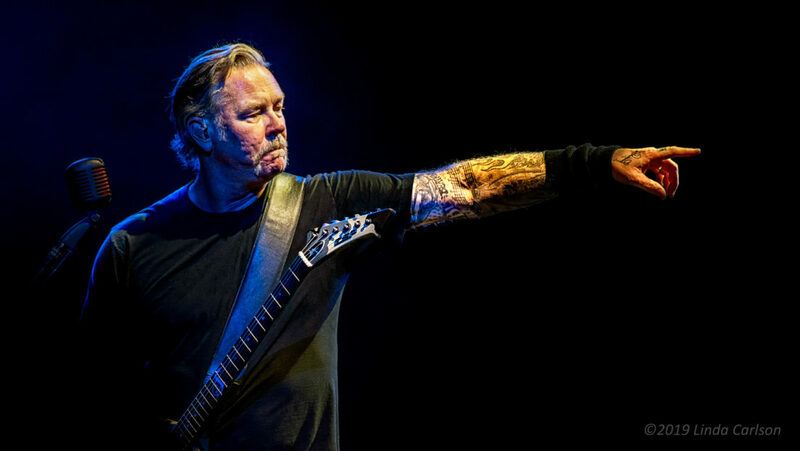 Check their website for tour information:www.metallica.com/tour<http://www.metallica.com/tour>.